DAVID LE/Staff photo. 5/19/15. 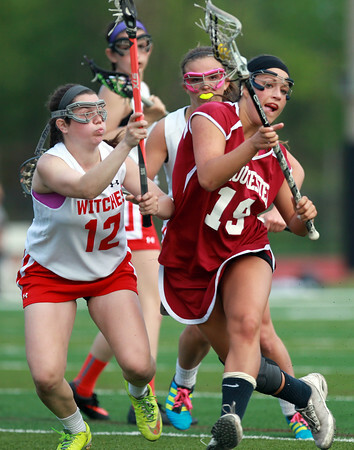 Gloucester's Tess Destino (19) tries to get past Salem's Nicole Sadoway (12).